If you've ever experienced a loose fit between a security fastener and the bit tip, you'll know how frustrating it can be, especially if you keep dropping screws while you're up on a ladder. Even if your feet are on the floor, the loose fit of a TORX® or other six-lobe fastener can cause other issues, like trouble lining things up precisely, low torque, and bit breakage, not to mention screws getting stripped out. Wouldn't it be nice if there was a company that manufacturer custom screws, who could achieve a near-zero tolerance between the fastener and the bit tip? You can probably guess the good news - we are that company. When you put the STYKFIT®6 driver bit and a STYKFIT®6 screw together, there is a near-zero tolerance, with no wobble. Beyond merely driving straight and torquing down hard, the fastener and the driver unite so perfectly that you can actually install the screws with one hand. That means you can hold an item in one hand, and the tool, driver, and screw in the other, and make short work of your project. No need to ask someone to hold something for you while you secure it with a fastener. 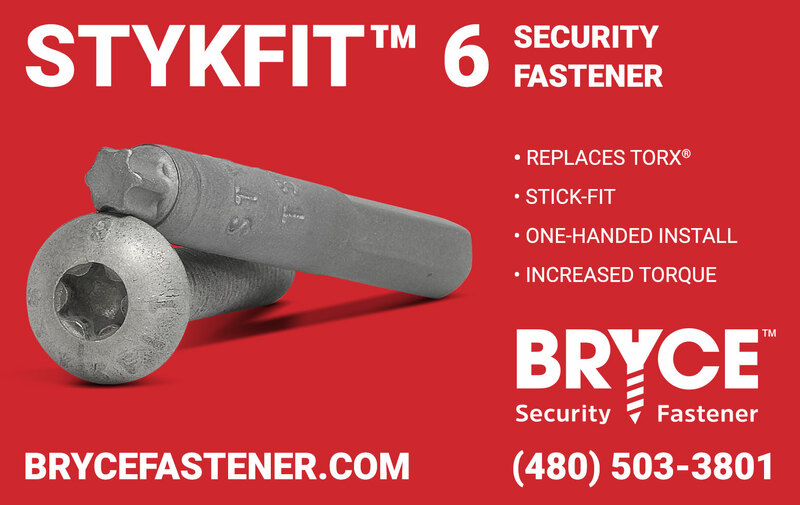 Even better, if you have existing TORX® fasteners and drivers, you can transition to STYKFIT®6 seamlessly, because everything is compatible. You'll get the best results when you use STYKFIT®6 fasteners and drivers together, but you could make the switch now and use a STYKFIT®6 to drive your existing TORX® screws, as well as use your existing TORX® bit tips to drive STYKFIT®6 screws. Available in all sizes now used with TORX®. Center rejection pin available.